It is a lovely small island with beautiful, quiet, unspoiled sandy beaches; cool and clear blue waters, swaying coconut trees and caves with swallows nests. Its waters are home to beautiful marine life such as fish, turtles, corals and others. Making it a must-visit destination, especially for discerning divers and snorkellers, is the incredible variety of hard and soft corals, seashells, fish and turtles. It’s not a rich and glamorous place with tons of 5 Star Resorts or expensive restaurants. It’s a very small island, which is what makes it so special. There’s not tons of electricity, or decent internet connection, meaning it’s the perfect holiday escape. Pulau Kapas shuts down during the monsoon season between November to February and The Best Time to Visit Pulau Kapas is from April to August, There are no ATM’s on the island so Don't Forget to Bring enough CASH for relax. Ombak Kapas Island Beach Resort is located on Kapas Island, Ombak Kapas Island Beach Resort will give you the best services and Kapas Island is the right place to relax and have fun. Ombak Kapas Island Beach Resort is an ideal choice for the people who want excitement and best serves at Kapas Island, Just in front of the resort lies a white and long sandy beach, which is a short walking distance from the resort. The Kapas Coral Beach is ideal if you envision an island resort getaway with the best facilities without having to go very far or pay exorbitant rates. Not far from the beach of the Kapas Coral Beach Resort is the natural habitat of the rich flora and fauna that the eastern coast of Peninsular Malaysia. Pictures above are taken from of Bukit Singa (Lion's Hill), depart from resort at 3pm and arrived to top at 4pm. Look at the rock that shaped like a lion head, Hiking up to about 10 minutes, The hill climbs more than 45 degrees. The view you can see up here like you are at newzealand or other overseas country, really worth for the climb. And I must say that trekkers need to wear the appropriate shoes, Although the distance to Lion Rock is not so distant. we need to go through rough and slippery rocky areas, The track was a bit challenging for me. To the top of the hill facing Lion's Rock, we need to climb a cliff. At first I and the other trekkers felt a bit hesitant but with directions guide, we arrived at the top too. For those who are afraid of being in high places, these peaks can be a scary moment. We need to be careful not to be too close to the cliff as the sudden blowing winds can cause unexpected accidents to happen. Once we are at the top, I take as many pictures as possible and enjoy the wind blowing from the South China Sea. Really refreshing! 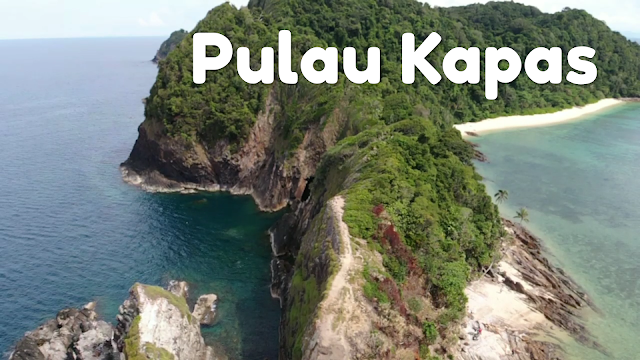 A weekend or extended trip to Pulau Kapas will be a trip that you’ll never forget. The beaches are amazingly beautiful, the underwater life is incredible, and you’ll get stuck in the relaxing island vibe.